We’ve heard it a bunch. I’ve said it a bunch. 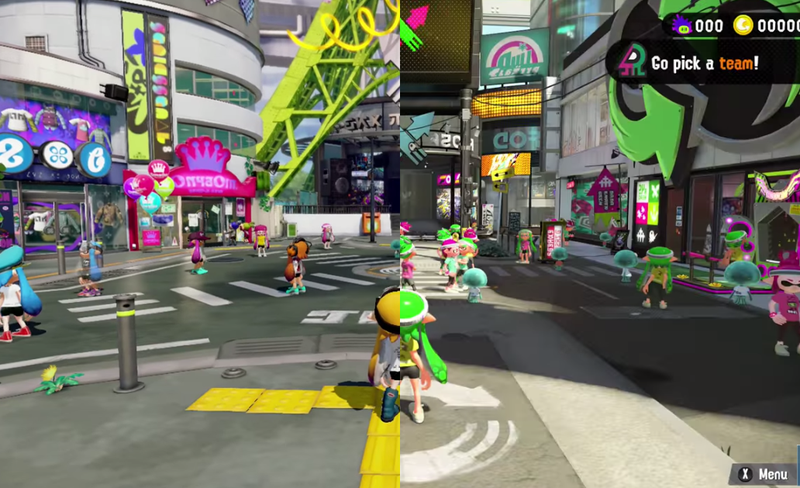 “Splatoon 2 looks like more Splatoon.” But side-by-side it’s clear the sequel is a lot more polished looking. In his latest video, YouTuber NomComms took a look at both games based on their lobbies and the results are a bit jarring. While Splatoon 2 doesn’t necessarily look next-gen (after all, the Switch isn’t that much more powerful than the Wii U) it definitely looks a lot more vibrant and detailed than its predecessor. NomComms begins by zooming in on some of the objects in the background and noting how much jaggier they are in the first game. But where things get really noticeable is in the game’s newscasts. In addition to better lighting and the colors popping a bit more, the Splatoon 2 version also clearly has a lot more going on in it. It’s just a richer scene overall, and some of the game’s better defined and more charismatic characters play into that. And then there’s the weapons merchant Sheldon, looking much more fresh in the in the Splatoon 2 version. He’s a bit rounder with nice little reflections in his spectacles, although not as glaringly different as some of the other stuff. You definitely have to be a dedicated Splatoon-er to recognize all of the little nuances that set the upcoming game apart (at least based on the demos that people have had access to so far). 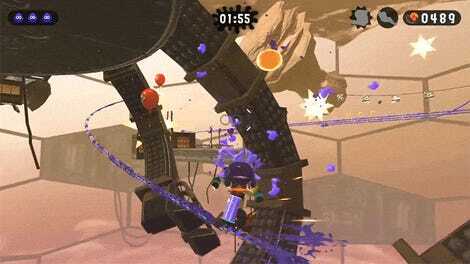 Still, it’s clear the new game isn’t just getting a fresh coat of paint. In many ways, it looks more like a fully-fledged take on the original vision. Even the Amiibo boxes look better! Splatoon 2 will be out on the Switch July 21.